With the BMW 530e xDrive, the range of the Munich plug-in hybrids has been enriched with yet another variant: for the first time, the 530e is not only available with two engines, but also with four driven wheels. Some markets, like the US, already had the xDrive in their lineup, but the rest of the world will get the 530e xDrive this Summer. Just like the rear-wheel drive 530e, the xDrive model also focuses on the combination of four-cylinder gasoline engine and electric motor. Both variants of the BMW 530e G30 will use the fourth generation lithium-ion batteries from BMW i as of July 2019. The new battery surpasses the previous model with a gross energy content of 12.0 kWh, with the same footprint, by almost 3 kilowatt hours. The result is a much wider electrical range, making the 530e a real alternative for even more customers. The rear-wheel drive BMW 530e comes with the new battery amounting to an electric range of up to 64 kilometers, exceeding the previous model by more than 30 percent. The range indication depends on the selected equipment and is somewhat worse, for example, for models with M sports package and wider tires. 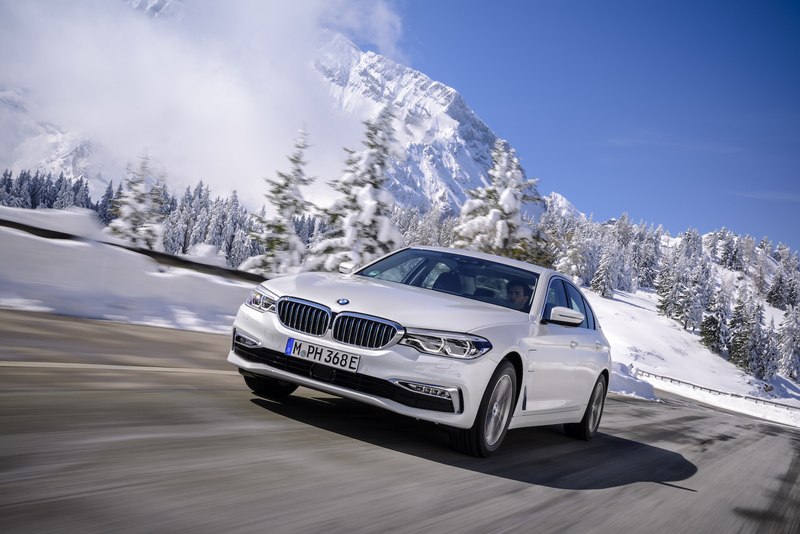 The new BMW 530e xDrive does not make it that far due to the higher friction in the slightly more complex powertrain, but with up to 57 kilometers is still clearly above the previous 530e. Both models take about six seconds to accelerate from rest to highway speed. A little more patience is needed from all who wait for the BMW 530e Touring G31. The plug-in hybrid station wagon is only a matter of time till is unveiled, with the market launch expected in 2020.